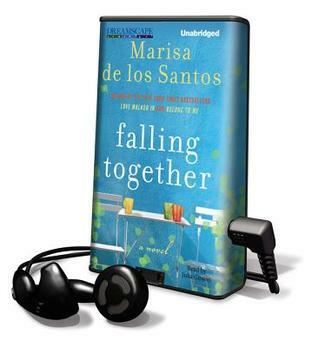 Falling Together…… Better Than Any Sleeping Pill! Falling Together is about three college friends, Pen, short for Penelope, Cat short for Catalina and Will. The trio met in the most unusual way. Pen just happened to walk into the bathroom only to find Cat in the midst of a seizure. As anyone would probably do in this circumstance, Pen opened the door and grabbed the first person she saw, Will! Pen, Cat and Will were the best of friends from then on. They had a special relationship and were inseparable through out their college years. When Cat got married and moved away, the trio decided that it was an all or nothing relationship, and decided not to keep in touch after graduation. In fact they went so far as to make a pact not to keep tabs on one another and they each went their own way. When 6 years later Pen and Will both got the same urgent email from Cat, asking them to meet her at a reunion, insisting that she needed them, neither of them could say no. Unfortunately the reunion was not at all what they had hoped for and Pen and Will, left with more questions than answers, embark on a trip across the world to find the answers they so desperately needed. Falling Together is a light, entertaining book with few surprises or aha moments. Yes, it is a nice story about friendship, but it could have been so much more. I tend to listen to Playaways at night, however every time I put the tiny ear buds in my ears and pushed the play button I fell asleep! The soothing, melodious voice of the reader was better than any sleeping pill I ever tried!